This image is the first of a number that will appear on the site this week which are taken from a small collection of photographs taken by a soldier in the 1/13th Battalion London Regiment (Kensingtons). 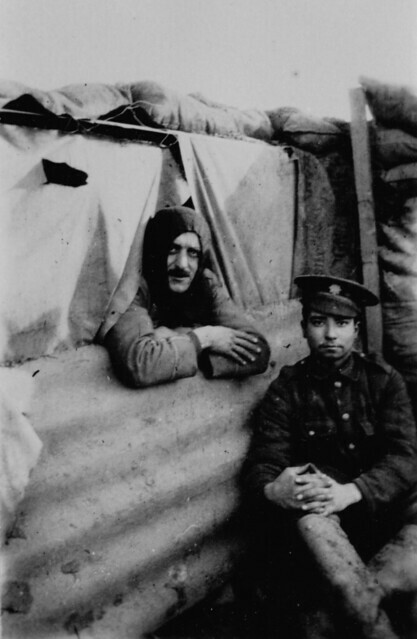 The Kensingtons were a pre-war Territorial Force battalion – Saturday Night Soldiers as they were popularly known – who had crossed to France in November 1914 where they served in the Neuve-Chapelle sector with the 8th Division. This sector of the Western Front was very flat and dominated on the German side by the Aubers Ridge. The trenches here were a mixture of trenches and breastworks built above ground level, as seen here. 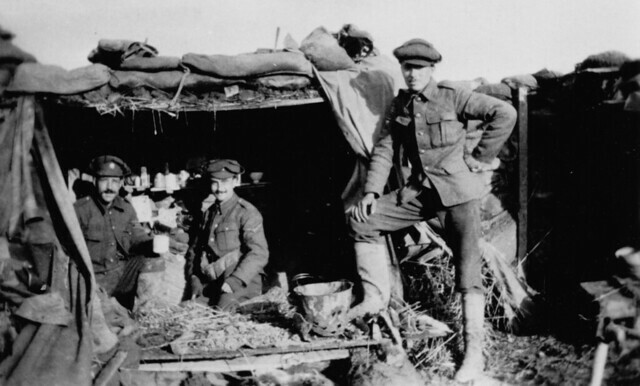 Taken in early 1915 the photo shows that the trenches here were still very primitive at this stage and offered little protection from the elements let alone shell fire; both sides were still learning about the realities of static warfare at this stage in the conflict. 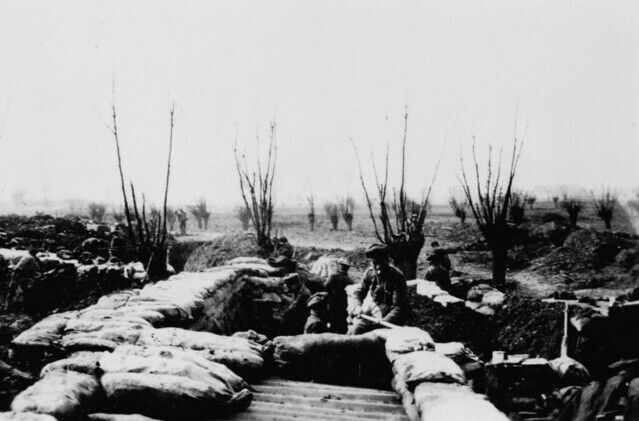 Given that the men are pretty exposed in this photograph – as well as the photographer himself – it is likely to be a reserve position, away from the front and out of view of the enemy.